The possibilities are endless when exploring on a bike. Cycle Derby is a great project, helping more people of all ages, to learn to ride, and become competent cyclists. For more information, visit the Cycle Derby website, like them on Facebook or follow them on Twitter. Sky Ride features a range of different ways to get out on two wheels, including Big Bike events, guided rides and social rides, organised by their network. You can also like them on Facebook or follow them Twitter. Derbyshire County Council are offering free one-to-one cycle training to people aged 18 or over who live, work or study in Amber Valley, Bolsover, Chesterfield and Erewash. The programme can be tailored to suit your needs. 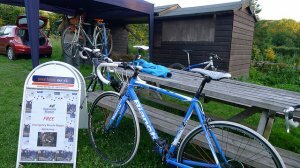 Your instructor will design the programme to suit you whether you're a complete beginner or an experienced cyclist who wants to become an even better rider. The off-road terrain in Derbyshire is spectacular and well suited to mountain bikers. Indeed, Annie Last, from Great Longstone, used the county's 'ups and downs' to help her claim eighth place at her home Olympics of London 2012. Informative websites to find out more about where you can ride include Peak District MTB, which you can also follow on Twitter via #peakdistrictmtb. Keeper of the Peak is a good source of info too #KoftheP. MonkeySpoon is a North Derbyshire/Peak District website. Ride Sheffield and the National Trust cycling pages are great, and others worth following on Twitter are @PeakDistrictNT and @NTSport and on the facebook page. 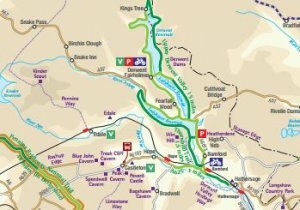 And you can take advantage of a whole network of Derbyshire cycle routes, which are detailed by through the link by each district.